WACO, Texas—Amid economic and political uncertainty, Texas Farm Bureau (TFB) President Kenneth Dierschke called for Texas farmers and ranchers to focus on rebuilding the nation during his address at the organization’s 79th annual meeting today in Waco. During his address to members of TFB’s delegate assembly, Dierschke noted that both citizens and legislators must work together and find solutions to our nation’s biggest challenges, including immigration reform, over-regulation and the pending farm bill. The state legislature also will have difficult decisions to make when they reconvene in Austin next year. He noted that state leaders will need to balance lower taxes with necessary spending, as well as fund and implement the state water plan to meet the needs of a growing population. “We have to trust our friends in the Legislature to work through these difficult times,” Dierschke reminded the delegates. The president applauded TFB members for another successful year and encouraged them to continue to contribute to the future of their communities, state and nation. 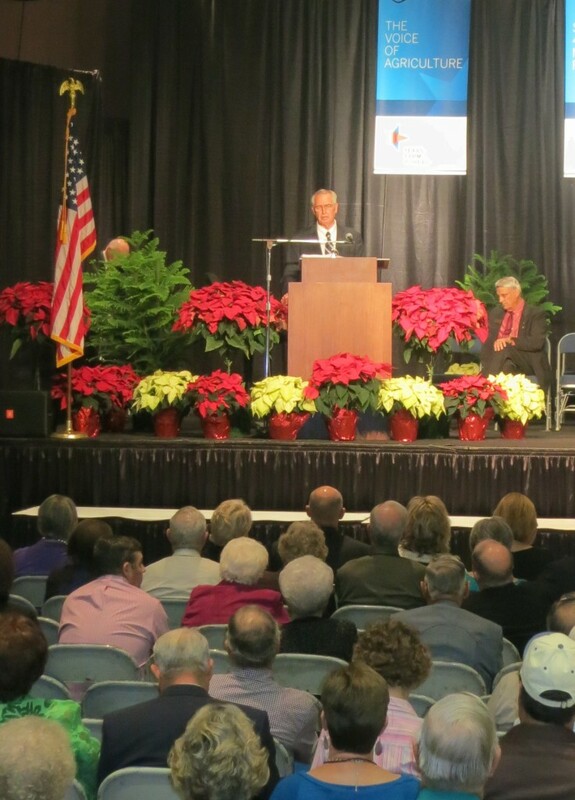 Texas Farm Bureau (TFB) President Kenneth Dierschke called for members to come together and encourage a spirit of rebuilding across the nation during his annual address today at the 79th TFB Annual Meeting in Waco.